Join Daniel Tiger and his friends as they get ready for the Neighborhood Fall Festival in this shaped board book based on a special episode of Daniel Tiger’s Neighborhood! Daniel loves all the decorations Music Man Stan has put up for the Neighborhood Fall Festival. But when a big gust of wind blows all the decorations away, Miss Elaina feels bad and wants to help her father. Daniel and Miss Elaina decide to make new decorations themselves, but will they be as good as the ones that blew away? Mom Tiger reminds them that their decorations don’t have to be exactly the same—they just need to do their best. This shaped board book comes with shiny foil on the cover! 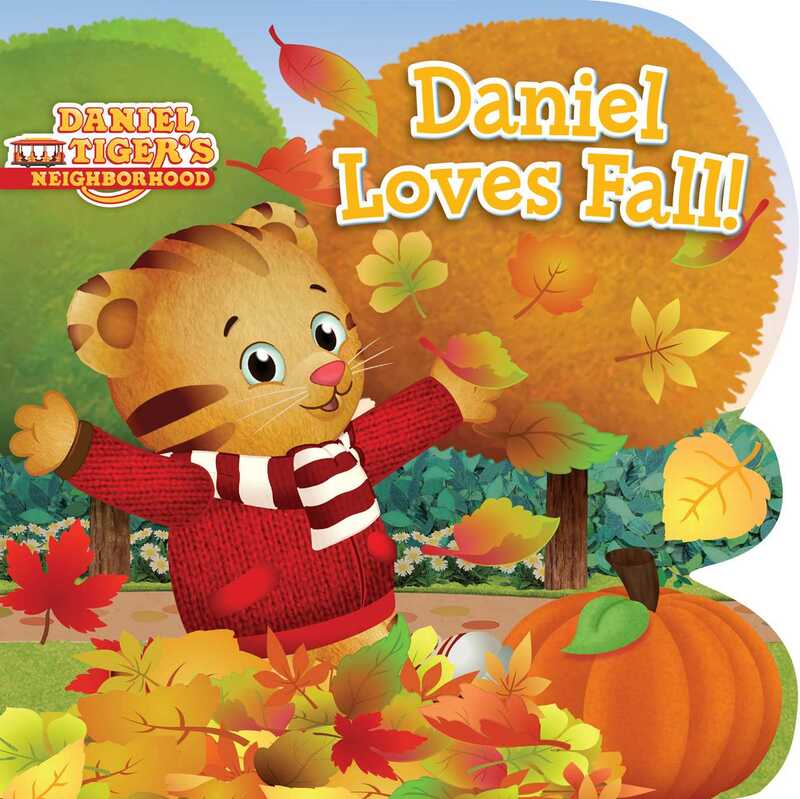 Book Cover Image (jpg): Daniel Loves Fall!